Lotto Max, one of Canada’s national lotteries, has been around for almost a decade and paid out incredible prizes to countless lucky winners from coast to coast. With an enticing prize pool that occasionally rivals that of even America’s biggest lotteries, fun extra features, and pretty decent odds, Lotto Max (along with Lotto 6/49) reigns supreme across Canada from coast to coast. However, it also holds its own among the world's best lotteries. 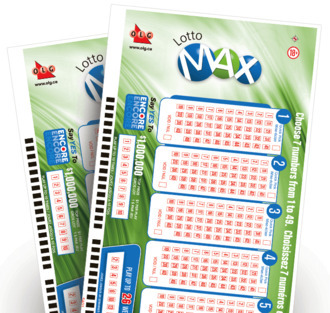 Lotto Max was first introduced to Canadian residents by the Interprovincial Lottery Corporation back in September 2009 to replace the Lotto Super 7 lottery. The Lotto Max lottery is one of Canada’s three national lottery games and a popular choice among millions of citizens. In fact, the lottery quickly secured higher revenue in the first 10 months following its launch than its predecessor ever did in even its best year in the 15 years it was in operation. Many attribute this success to the large size of Lotto Max’s total prize pools, as well as the fact that many people feel the MaxMillions system considerably increases their chances of winning and, in turn, the overall excitement they get out of playing. Lotto Max is pretty quick and easy to play. For CA $5 you get to play three sets of numbers. Each set consists of seven numbers that fall between the range of 1 to 49. You need to match all 7 numbers to win a share of 89.25% of the total prize pool. The lottery allows you to select a Quick Pick option, which will have the seven numbers randomly chosen for you. If you’re someone who likes to have a bit more control, however, then you can go for the “Selection Slip” option that will let you choose your own numbers. There’s also an “Advance Play” option that lets you choose your numbers in advance for up to 26 weeks. Those familiar with the subscription feature that many online lottery sites offer will already be familiar with how this works, but basically it just means you prepay once and then run the same numbers for whatever number of upcoming draws you choose. There is a minimum jackpot for Lotto Max, which starts at $10 million and can grow up to a $60-million cap at its max. If the main Lotto Max jackpot is won, any MaxMillions that are not won are automatically added to the next minimum ($10 million) Lotto Max jackpot. The odds of winning the Lotto Max jackpot are 1 in 28,633,528. These odds are approximately 10 times better than the odds of winning America's Mega Millions lotto (which has odds of 1 in 302,575,350) or the US Powerball (which has odds of 1 in 292,201,338) lottery. However, the odds are more than twice as difficult as the 1 in 13,983,816 odds offered by its older brother, Canada Lotto 6/49, which often features similar jackpots. Despite that, the overall likelihood of winning a prize in Lotto Max is 1 in 6.6, which is very much in the player’s favour. That alone makes giving this lottery a shot worthwhile. Lotto Max draws are held only once per week on Friday nights at a secure location in Toronto, Ontario, shortly after the ticket cutoff time at 7:30 pm PT/8:30 pm MT/9:30 pm CT. Although the $60-million cap that Lotto Max has in place would prevent anyone from winning the full amounts above, several of the biggest Lotto Max winners also rank among Canada's biggest lottery winners ever. The cap also resulted in many additional MaxMillions prizes becoming available and multiple big jackpots being won consecutively. 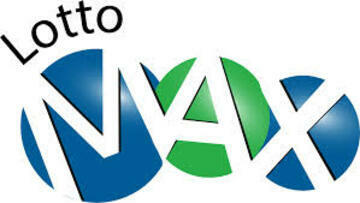 All Lotto Max prizes (including the jackpots) are paid out as a single lump sum. Annuity payments are not possible with this particular lottery. Any lottery prizes won within Canada are tax-free, as neither the federal or provincial governments tax lottery winnings, meaning players can rest assured that they’ll take home the full amounts they win. Compared to what happens with Powerball winners and Mega Millions winners in the US, where federal and state taxes can add up to 45% depending on which state the ticket was purchased in, this is an incredible advantage. However, if you'll be playing Lotto Max from another country, check the local tax laws to make sure you won't be taxed by that country's government. If you don’t live in Canada, you might think that your chances of playing Lotto Max are pretty limited, but luckily that’s not the case. Many of the best lottery concierge services offer access to both Lotto Max and Lotto 6/49, meaning you can play Canadian lotteries whenever and wherever you want to. Since some of these sites offer great welcome offers and extremely useful features like subscriptions and group play that can save you money and increase your chances of winning, they are often even better than buying Lotto Max tickets directly from an official Canadian lottery kiosk or retailer. Plus the convenience they offer is second to none. Canada Lotto Max – Is It Worth Playing? With amazing tax-free jackpots, fairly good odds, and a reputation that’s hard to beat, Lotto Max has certainly earned its title as one of the best lotteries in Canada. While there are other lotteries in the world that offer bigger jackpots, their odds are usually drastically tougher, meaning your chances of actually walking away with a jackpot (or even lowest-tier prize) are pretty slim. Besides, $60 million is hardly anything to scoff at. As such, we highly recommend Lotto Max to lotto enthusiasts who are looking for something new and exciting to play. I am a Canadian who is living and working in Barcelona, so I have missed playing Canada's lotteries! Don't get me wrong, there are many great Spanish and European lotteries to keep me busy but I've always had a soft spot for Lotto Max and Lotto 6/49 because there from MY country. Great to know I can play them online even while away from Canada.